The Best Alternative to Celtx? Meet StudioBinder. ﻿﻿﻿﻿﻿﻿﻿﻿﻿﻿﻿﻿﻿﻿﻿﻿﻿﻿﻿﻿﻿﻿﻿﻿Looking for a Celtx alternative? StudioBinder provides a film production project management solution for agencies﻿, indies, and studios. Read the full Celtx review and comparison below. 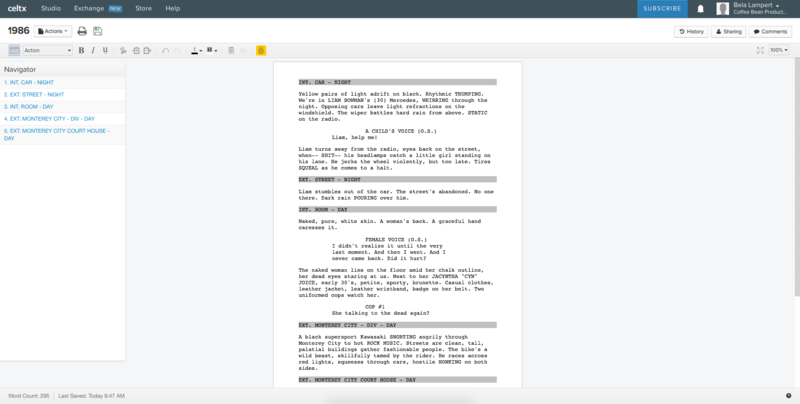 Celtx originally launched as a desktop screenwriting software. Since then, they’ve moved their software online to create Celtx Studio, a cloud solution that provides indie filmmakers with tools to generate production documents such as Celtx script breakdown sheets, shooting schedules, and call sheets. In other words, Celtx Studio functions primarily as a document builder. 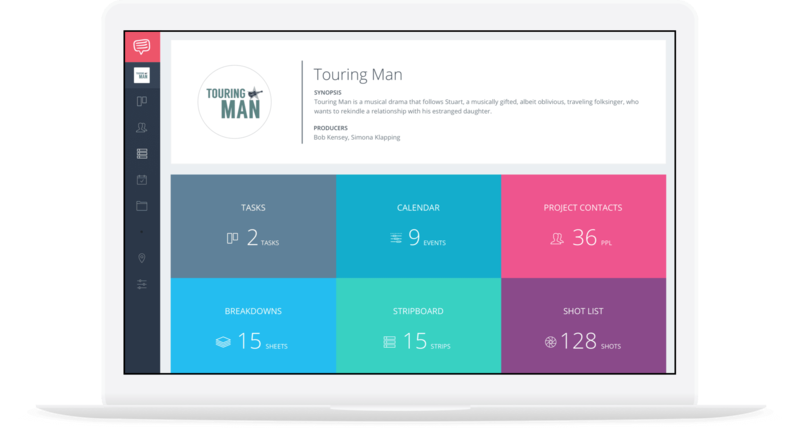 StudioBinder: a film project management solution. StudioBinder still allows you to generate all the essential production documents similar to Celtx, but it’s also a mission control for continuous communication and engagement with your production every step of the way. StudioBinder is a complete project management software solution for film productions. Celtx is a document builder. With the exception of its script writing software, Celtx operates much like a spreadsheet. You input data into a cell, and then spit out a document. We believe that the industry does not need are more documents, more email threads and versions of PDF files. Effective production management is all about communication. It’s about sharing key information….with the right people….at the right time. Documents are not the goal. Clarity and productivity are the goal. This concept underpins all of StudioBinder’s functionality. From our approach to not only generating call sheets, but (unlike Celtx) personalizing, sending and tracking call sheets. The same applies to our built-in project management, collaboration and messaging tools. StudioBinder is mission control for day-to-day operations. StudioBinder’s call sheets are more professional. StudioBinder’s call sheet builder is simply more robust than the Celtx call sheet builder. We provide more sections that a professional production requires: multiple locations, auto-weather, map links, daily schedules, map links, advance schedules, special instructions, a dedicated clients section, and file attachments. Stylistically, Celtx’s call sheet template is laid out quite differently than most industry-common call sheets. StudioBinder provides you with the option to use any of three call sheet templates, each of which follow time-tested production standards. Browse our call sheet templates here. The Celtx call sheet experience. The distribution of a call sheet couldn’t be more different. With Celltx, you create a single generalized call sheet page that you can link to talent and crew, or download as a PDF. It still forces you to download the PDF, compose an email, BCC everyone, send it, and hope the email was received. To confirm receipt of the call sheet, the production must manually follow up with talent and crew and update an internal “distro sheet.” Wash, rinse, repeat every day of the shoot. 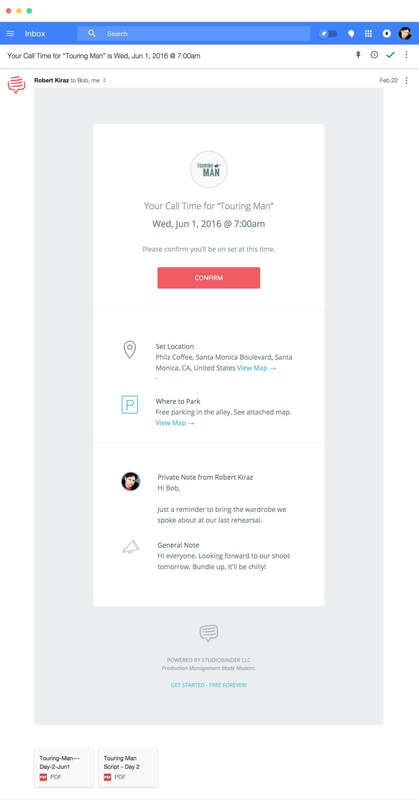 StudioBinder sends personalized call sheets. 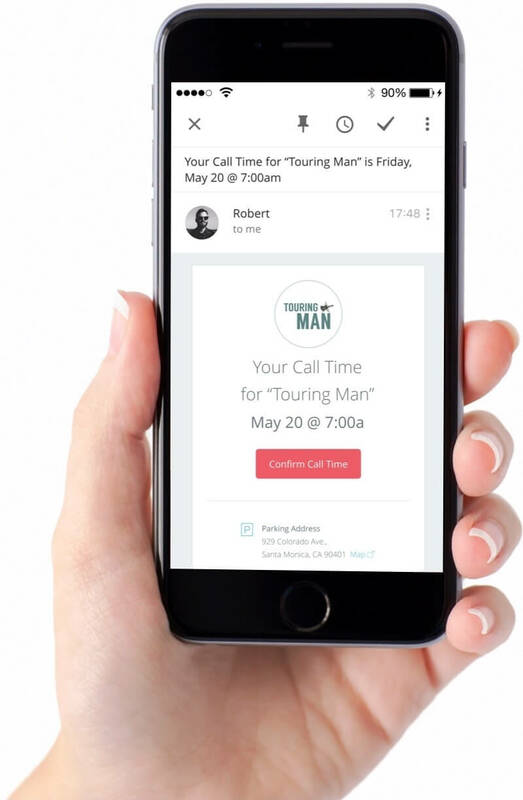 With StudioBinder, we automatically generate and send mobile-friendly call sheet emails that are personalized to every recipient with customized call times, private messages, and map links for GPS easy navigation. Each tailored email highlights only the details that matter to the recipient. This cuts back on the confusion that arises from downloading and combing through a heavy call sheet PDF. Although we still attach a PDF of the call sheet to every email, most talent and crew far prefer a personalized email digest. Personalized call sheet emails ensure clarity. ﻿﻿﻿﻿﻿﻿﻿﻿StudioBinder tracks call sheet status and confirmations. Each personalized call sheet email features a “Confirm” button so that recipients can confirm receipt (similar to an RSVP button). No recipient of a call sheet is ever prompted to sign up. The sender is notified as talent and crew confirm. The sender can also track the status of every call sheet (bounces, opens, views, confirms, etc) all via one page. Need to fix an email typo? Fix it, and resend the call sheet right from the same page. With StudioBinder, you provide talent and crew with a better call sheet experience while you gain effortless visibility on their status. Know the status of every call sheet. 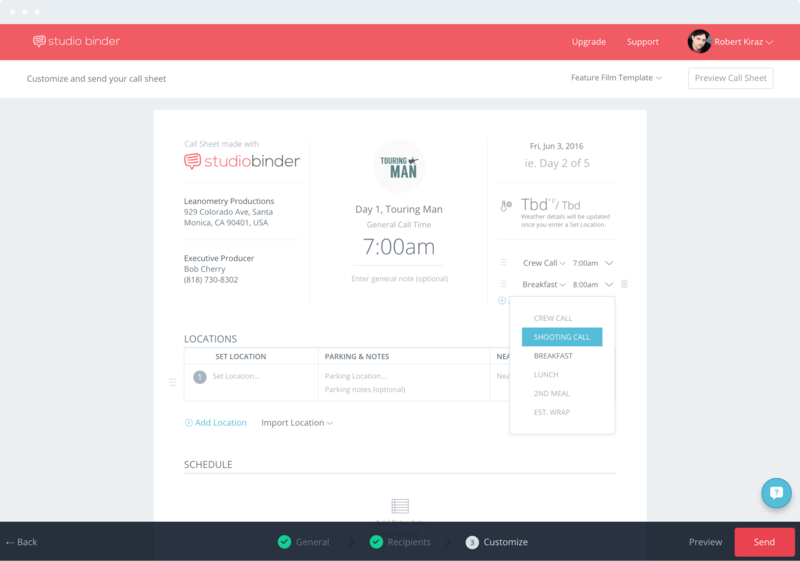 StudioBinder allows you to organize production contacts in one place. Celtx does not have a robust contact management platform. StudioBinder allows you to add unlimited production contacts and specify details like special dietary needs, secondary contact details, IMDB links, notes, and production files such as deal memos, release forms, tax forms, and more. Stay organized by bucketing your film crew into lists. Speed up your workflow by assigning entire lists to projects. Everything is seamlessly woven together under one roof. Treating production emails like support tickets. 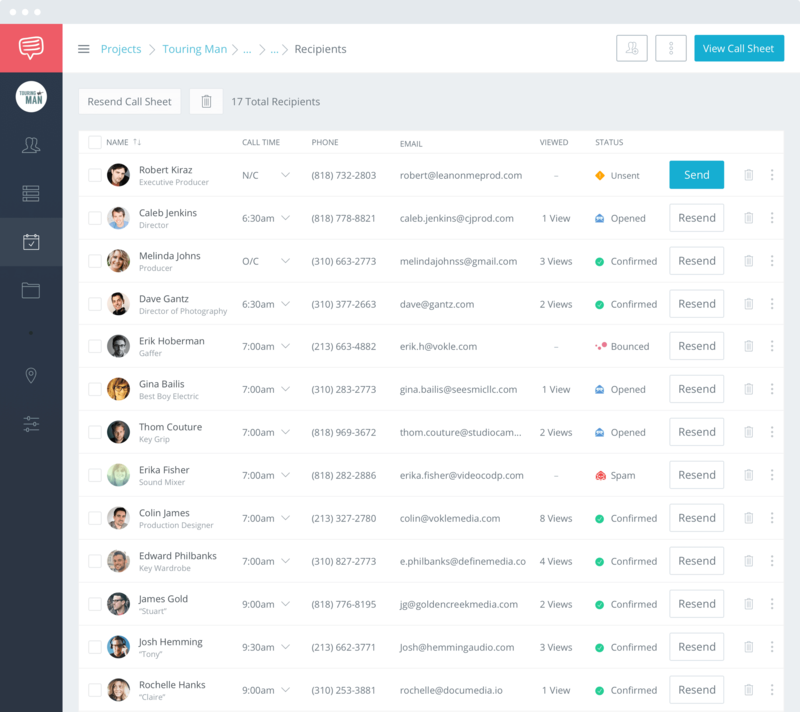 StudioBinder supports the ability to message your contacts. We believe that a productive team is an informed team. To keep your team in the loop, we provide a unified team inbox where all open production emails are organized. But we don’t stop there either. As soon as someone from your team replies to a production inquiry, they can “close” the conversation, similar to closing a support ticket. This ensures that your team stays on top of pending communications, and works together to relay information promptly and efficiently. Celtx.com does not offer messaging functionality. Interested? Get started for free. Join 20,000 production companies, studios, and video agencies that are optimizing their production workflows. Assign todo tasks and deadlines on every page. With StudioBinder, you can easily invite team members to contribute to projects. Unlike Celtix, StudioBinder provides a section on every page (e.g. call sheets, stripboards, script breakdown sheets) to create to-do task lists. Team members can post comments, assign other members, and add due dates to tasks. 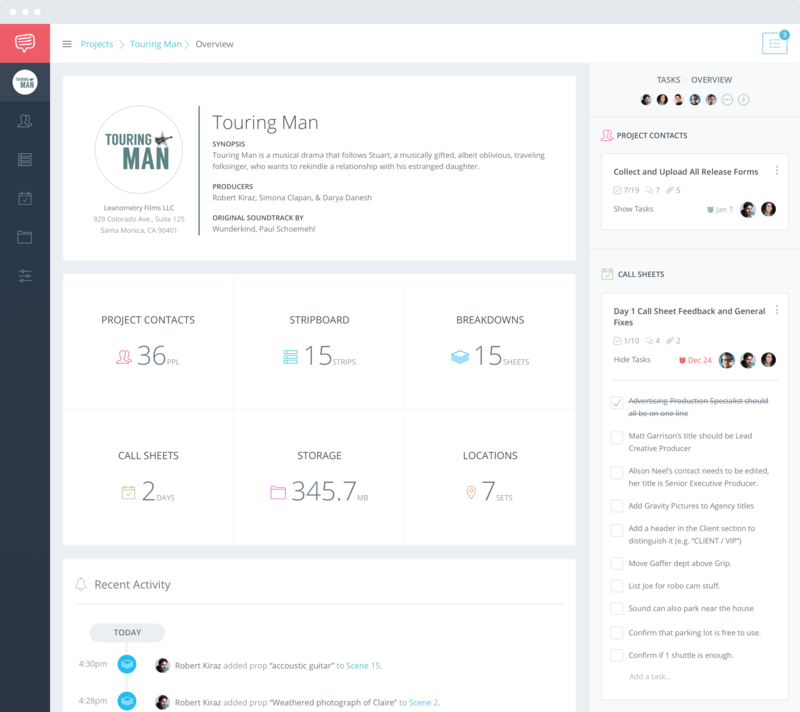 All of the open tasks are aggregated in a user’s dashboard so nothing slips through the cracks. This way you can reach your production goals with less meetings. Work better, together. ﻿﻿﻿﻿﻿﻿﻿﻿Save more by going annual. StudioBinder offers an annual pricing plan in case you’d like to pay once every 12 months. Pay for the whole year and get a discounted rate! How about another perk for going annual? Like any company, our pricing may change as StudioBinder’s featureset evolves. When you purchase an annual plan, you’ll be locking in your current discounted rate for next 12 months. Everything your production company needs to better manage film, TV & video productions. Does StudioBinder integrate with any other products? Yes! StudioBinder allows you to import scripts from Final Draft. Is there a software install? No, StudioBinder is a modern, fully cloud-based solution. This allows you to access your data from anywhere and invite team members without installing cumbersome desktop software. StudioBinder’s monthly pricing is based on features and how many team members you invite. We offer monthly and (discounted) annual plans. Not at this point as heavy typing is not ideal for mobile devices. However many of our shared pages are mobile-responsive for viewing convenience. This means recipients of call sheets and certain shared pages will see a page that is formatted perfectly for mobile devices. Yes! StudioBinder automatically detects user IPs and supports celsius, 24-hour clocks, and international phone numbers. You can also configure these settings manually. Why StudioBinder is the best alternative to Celtx. The short version? StudioBinder is better for studios, video agencies and production companies looking for a more all-in-one film production project management software solution. The Celtx app is better if you want document generator, and nothing more. Meet the best alternative to Celtx. 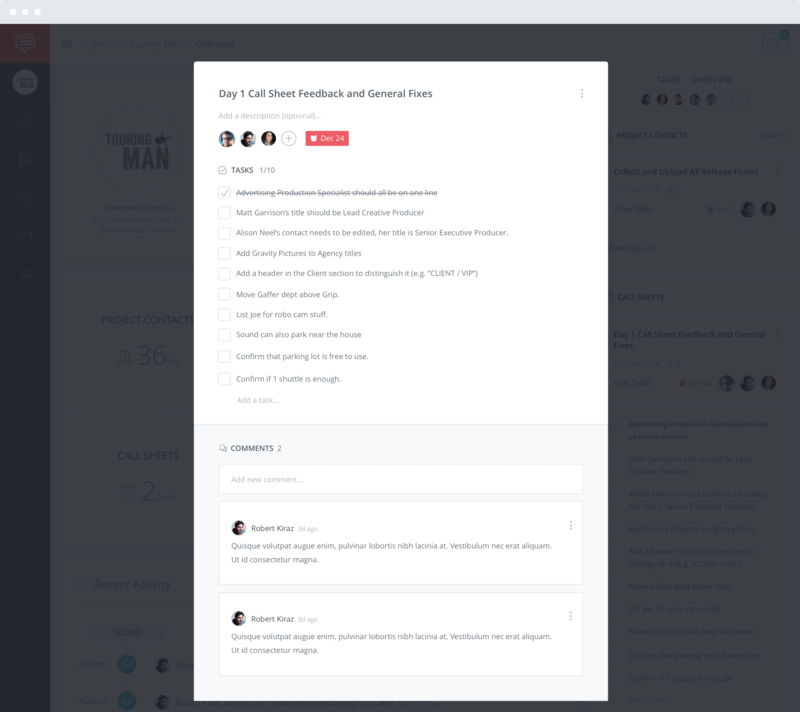 All-in-one video project management ﻿has arrived.